As you’ve probably heard by now, Android Apps will be arriving to select Chromebook models later this year. In preparation Google has been working on a storage manager for Chrome OS to help you keep track of just how much space your using on your device. While this will be a useful tool, it does nothing to expand storage for the countless apps that will be available once the Play Store arrives. Worried about how you can possibly make room for Angry Birds, Summoner’s War, Modern Combat: 5(one of Robby’s personal favorites) and the plethora of other apps you currently enjoy on your mobile device? For a number of current Chromebook as well as Chromebox devices, SSD upgrades are not only possible but relatively easy to perform. Below we’ve compiled a list of devices that have removable, upgradable SSD storage. Some models also allow RAM upgrades if you’re really wanting to beef up your game. While not every device on this list will be getting Android Apps this fall, we thought we’d include them as well. We know some of you are still interested in the cheaper, older devices and wanted to make sure they were represented here. The Acer C720 as well as it’s predecessor the C710 both support SSD upgrades. In addition the C710 has upgradeable RAM. The C720’s RAM however, is soldered to the board. Sorry. Fortunately, the Intel® Core i3 model with 4G of RAM should be sufficient for most users needs. The Acer Chromebook 15(C910) SSD can be upgraded and is available in Core i3 or i5 with up to 4GB of ram on board. It is also among the models that will be receiving Android Apps later this year. The Dell Chromebook 13 is still one of the best “bang for your buck” Chromebooks on the market. Available with Celeron® 3215U, Core i3 and i5 and up to 8GB of RAM. It also has an touchscreen option available. With some added storage, that makes this Chromebook an overall win for those wanting to get the most out of Chrome and Android. 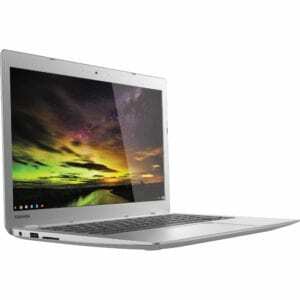 The Toshiba Chromebook 2(2015) I personally have not attempted upgrading the Toshiba. I have seen that it is listed as “not easily upgraded”. But, the storage is capable of being expanded. I would recommend doing your homework before attempting the switch on this or any device for that matter. 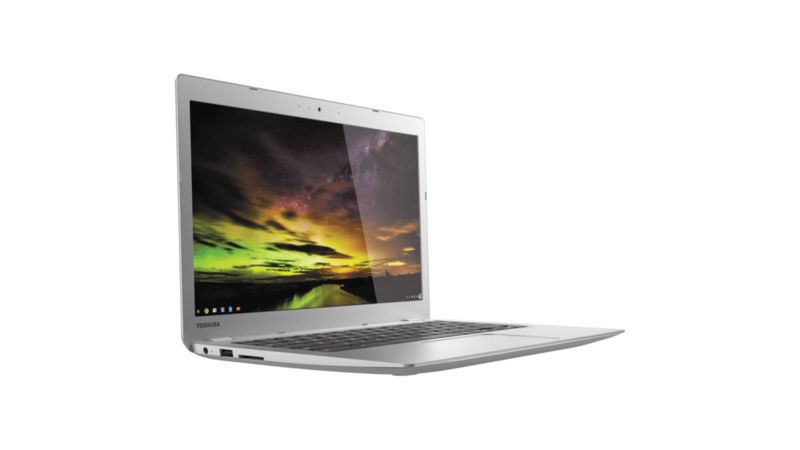 The HP Chromebook 14 has had many variations produced since the release of the first G1 model. There are some models that do support SSD as well RAM upgrades. I do know, from personal experience, the LTE model is not on this list. Do your homework before cracking it open. In addition to these Chromebook models, most if not all Chromeboxes have upgradeable storage as well. With more accessible internals and more room to move around, upgrading your Chromebox should be a cinch. As with any project of this type, make sure you are confident in what you’re doing before you go cracking open any device. You can almost be sure you will be voiding some or all of the warranty. Due diligence and proper planning will pay off and save you a load of frustration. Hopefully this will help shed a little light on your decision to upgrade your current machine or begin the process of shopping for a new Chromebook or Chromebox. Feel free to contact us with any questions. We are always glad to help.